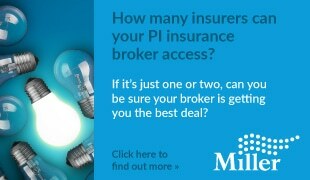 When it comes to legal pricing, most lawyers know the industry has struggled to get it right. Valuable time is wasted on ‘gut feel’ estimates and opaque deconstructions of every task within a legal matter. 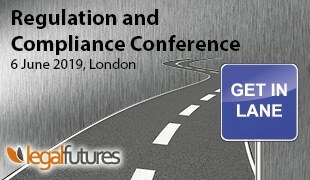 Rising client expectations and recent changes in regulatory requirements such as the new SRA transparency rules, are putting pressure on the sector, making pricing out legal matters costly and extremely time-intensive. With the convergence of outside market pressures, it’s no longer enough to leave streamlining the pricing process as an afterthought. Up until now, improving the process of pricing has been a time-intensive task, most frequently carried out by lawyers without the support from their finance or knowledge teams, pricing each matter out individually – with every single new client. As a result, law firms have struggled to improve pricing methodologies, and innovation in the arena has been relatively stagnant. This has resulted in a potential loss of fee-earner revenue and fatigue due to time-intensive processes for determining costs associated with cases they take on and when pricing is part of a full and weighty quality/pricing tendering process. In response to these growing challenges facing the legal sector, Burcher Jennings is working to bring pricing training to the industry through masterclasses. The benefits for improving the industry’s approach to pricing goes far beyond just law firms themselves, especially in the wake of a changing regulatory environment. A trickle down effect in terms of improving knowledge around pricing legal matters also means that lawyers are able to deliver more bespoke solutions to clients, strengthening their relationships through greater clarity on overall costs. Clients can rest assured that the services they receive are meeting their needs and objectives, and firms can focus more on delivery. 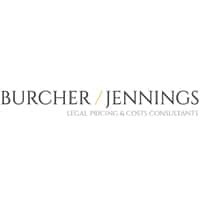 Burcher Jennings is committed to ensuring that the training is practical and efficient, and lawyers leave with the knowledge they need to deliver better pricing moving forward. The masterclasses are designed to provide firms with the resources intended to deliver a macro view of what’s happening in the market around pricing innovation, what other firms are doing and what opportunities are available to innovate. The classes delve deep into pricing governance, analysis and execution, as well as demonstrate a radical new way of approaching legal pricing services through a menu option – something that allows firms to remain competitive in the market. The importance of the availability behind this type of training for the industry is that lawyers can spend less mental space attempting to define their pricing approach, and more time focused on the legal matter at hand.